The Joy of Fashion: Mamma mia! Lunch at a yummy Italian restaurant, dessert at Starbucks, and a night of movies with popcorn at my house! Today was a wonderful day!! The last day of classes for me before the long Thanksgiving weekend, so that's a relief! To celebrate, me and my boyfriend decided to use my gift certificate that I won on a Bingo night to eat a delicious pizza for lunch. 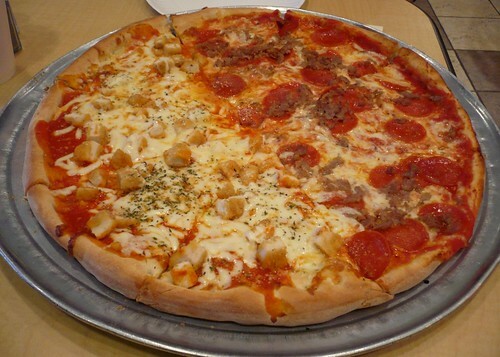 We couldn't agree on what flavor to order, so we just ordered half and half! jeje, easy enough! 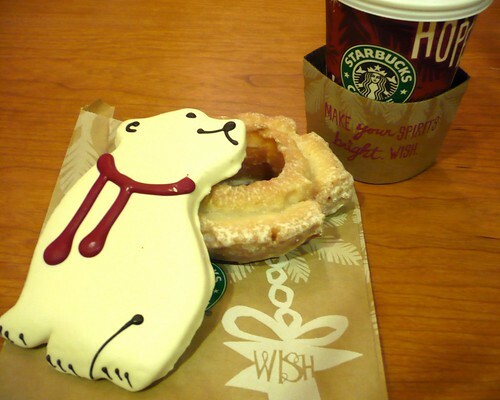 For dessert, we went to Starbucks to enjoy a hot chocolate with some delicious pastries. And to finish the night off, we watched two fun movies at my apartment with popcorn... aahhh, isn't life gran? What a gorgeous color combination - so vibrant! I love this color combo. Purple and gold/yellow looks amazing on you. I might have to fight you for that pizza! 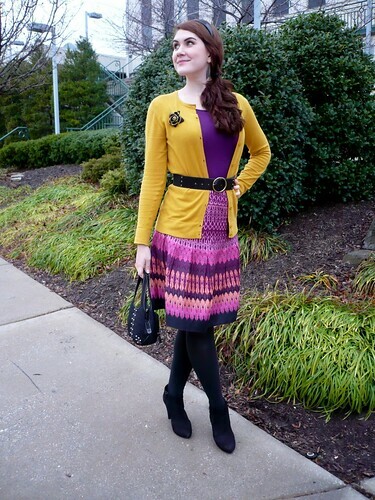 You wear color so well! 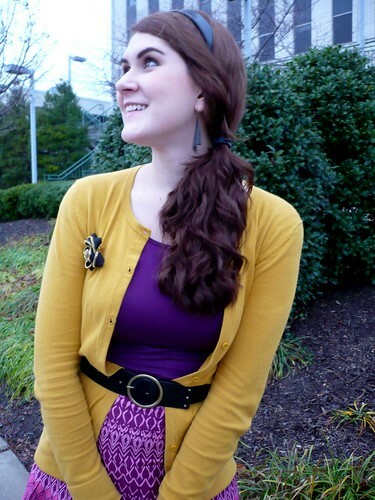 This outfit is gorgeous- I love that broach. yes..mama mia with that happy colorful outfit! 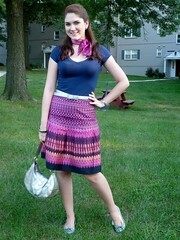 I love your skirt, its so colorful a pretty. 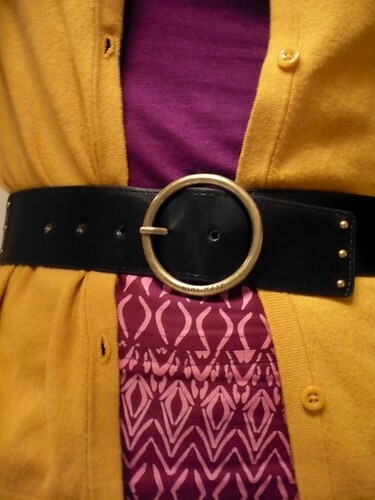 The mustard and purple combination is super nice. 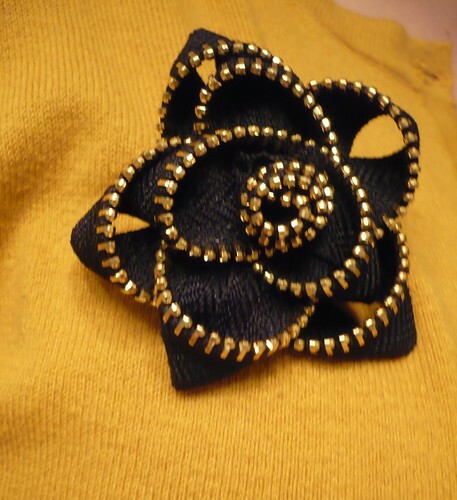 My favorite accesory from this outfit is the flower pin on your jacket. It draws your attention and looks very fashionable and chic. 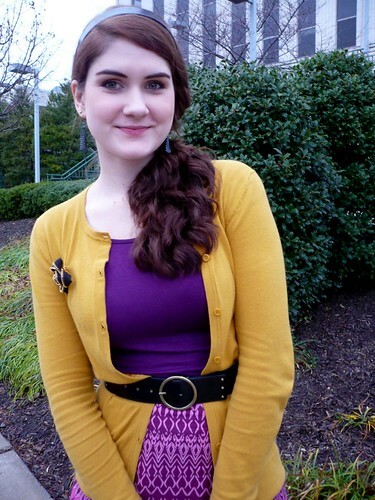 I need a mustard cardigan!! Target? really? Its so perfect! Oh and I love how you added that brooch, very chic. Thanks for stopping by my blog and leaving such lovely comments! 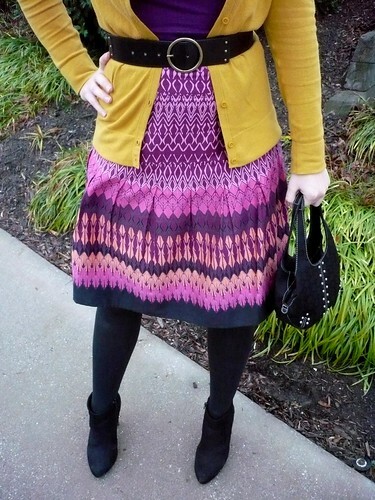 Gorgeous!I love that skirt with mustard. And I'm so hungry after seeing that pizza shot. time for morning tea I think! 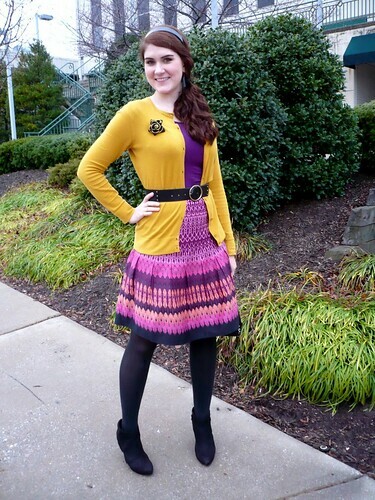 I love the colors, the belted cardigan and the zipper flower!